There are two things I love during cold weather months and they are winter white and color pops to light it up. While the possibilities are pretty unlimited (think sage green, blush pink, teal blue...you get the picture) today I opted for crimson red. I love how it wakes up these neutrals and adds a cheery hello to the mood. Color pop pieces don't have to be big. Actually, I like them better when they are smaller or sometimes even just one piece additions. Today's clothing collage shows you how easy this look is to achieve. 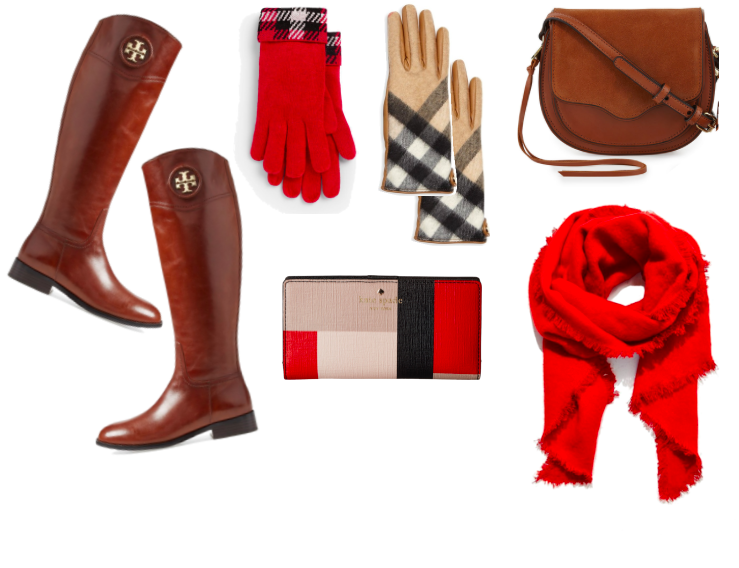 Try adding a simple scarf, pair of gloves or pack a color blocked wallet. You can check out more color pop possibilities below...have a wonderful Wednesday!